For the last century or so, "branding" has been the name of the game in marketing. Soup, peanut butter, and toothpaste were sold under such iconic name as Heinz, Jif, and Colgate. They may have been virtually identical to other brands, but each had its own "personality" as expressed in colorful packing and distinctive logos backed by hundreds of millions of dollars worth of advertising. Branding started to wobble back in the 1960s or so when supermarkets began featuring sections filled with "generic" and bulk products. That grew into private labels -- so-called "store brands" -- that usually undercut the national brands by a few pennies while benefiting from customers' loyalty to Kroger or Safeway. The next development was Trader Joe's and similar stores that sold almost entirely store brands. If you go to Trader Joe's or Aldi, you don't find a row of 30 different kinds of peanut butter. You find Trader Joe's or Aldi's peanut butter, creamy or crunchy. 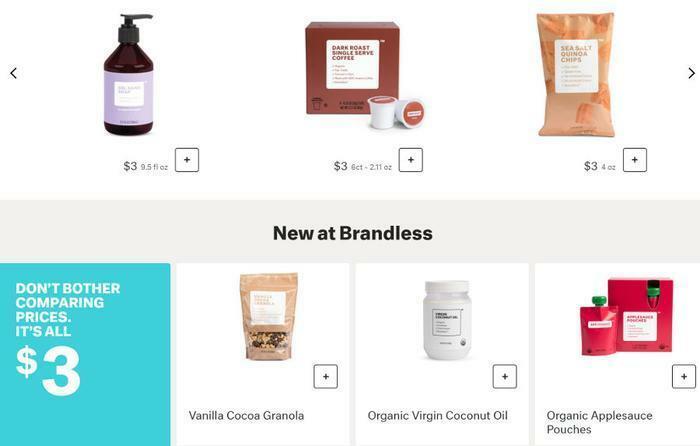 In the latest creak of the evolutionary wheel, a new online retailer called Brandless is selling common household goods with no brand at all. Everything is priced at $3, an update on the 99-cent store model or maybe the Dollar Shave Club. Besides the usual complement of products, Brandless groups stuff by such categories as Gluten Free, Non GMO, Vegan, and Certified Organic, thus appealing to those who are not only thrifty but perhaps a bit particular. 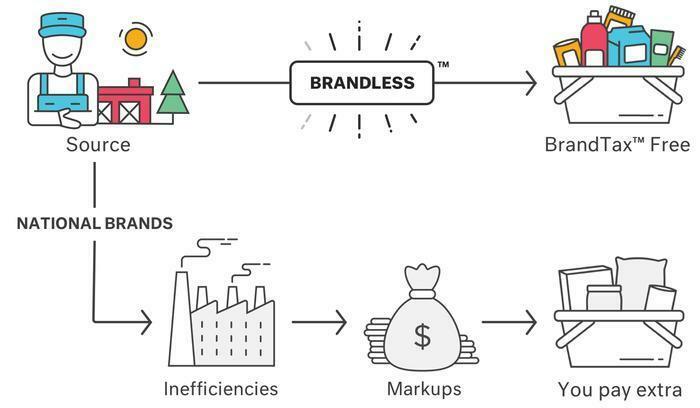 The115 products that Brandless will be selling initially are generally a bit more expensive than their big-name rivals, according to the Journal's analysis, although many items are a few cents cheaper than big-name products boasting of "natural" or "healthful" properties. Marketing researchers say Millennials are less brand-loyal than earlier generations and may react well to the Brandless approach, though others noted that most American shoppers are price-conscious when it comes to the staples they buy regularly and are not eager to experiment, as many struggling grocery-delivery services will agree.